The UA Tech Park at Rita Road is one of the nation’s premier research parks – a dynamic, interactive community where innovators and business leaders meet, where emerging companies and technology giants work side by side. 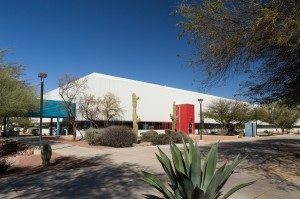 Located in one of Arizona’s fast-growing suburban settings on Tucson’s southeast side, the Park’s spacious campus encompasses 1,345 acres and has 2 million square feet of space for high-tech offices, R&D, and laboratory facilities. A perfect location for access to the markets of California, Texas and the Mountain West states, the UA Tech Park is also home to enterprises capitalizing on proximity to the markets and manufacturing capabilities of Mexico, where the Arizona/Sonora border is 65 miles away. 9016 S. Rita Road: ±13,157 sf up to ±34,428 sf of office/R&D space. 9030 S. Rita Road: ±1,434 sf up to ±12,214 sf of office/R&D space. Wet Lab space of ±1,434 sf available. 9040 S. Rita Road: ±2,269 sf up to ±16,548 sf of office/R&D space. 9070 S. Rita Road: ±2,125 sf up to ±38,620 sf of office/R&D space. UA Tech Park is home to The Solar Zone, the first of its kind solar-centric business zone within the Park, advancing solar energy innovation and production.